You want inspiration? Buy this book! It is as simple as that. Cleverly exploring a demographic that is too often sidelined, Aileen Kwun and Bryn Smith asked twenty giants in the fields of design and architecture about the wisdom they have acquired during their eight or more decades on the planet. The vivid and quotable insights from one interview alone could fill this entire review. These are people who have been devoted to their work, which is inseparable from their lives. Whether they work in textiles, furniture, graphics, illustration or architecture, their age unshackles them from being polite or politic. It starts with the 91-year-old writer and educator Ralph Caplan, who came to design via a humour magazine, and finishes with 88-year-old architectural planner and all-round mover and shaker Beverly Willis, who in 2009 wrote and directed her first film – about women architects – at the age of 80. The authors set out this elegantly designed book as a series of conversations, some face to face, some via email exchanges. 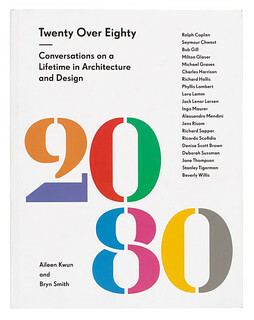 As young design writers, their worry was that it would be impossible to ‘capture the essence of twenty legends … for a conversation worth their time, and yours’. However, with astute questioning and careful editing, they turn the varied responses into a satisfyingly fluent and coherent read. The project is timely, not to put too fine a point on it. Here’s a chance to catch up with people who were influential at one time, but who have somewhat fallen off the radar. The late architect Michael Graves, left partially paralysed by illness, tries to ‘redesign the healthcare experience … from the unique viewpoint of a patient’. He is splenetic about firms who work in that field but make no attempt to understand what it’s like to be in a wheelchair: ‘What they’re doing is making interiors, like a hotel. Interiors,’ he says scathingly. Or the riveting story of Charles Harrison: from postwar US Army cartographer to the first African-American executive at Sears, designing thousands of user-friendly products, including the moulded plastic garbage bin that likely sits outside your house – essentially identical to the one invented by Harrison in 1966. In this foreword, the art director Michael Carabetta writes that the interviewees ‘prove Newton’s Law – a body in motion tends to stay in motion. There’s little that surprises them. They’ve seen it all, or enough to know what makes the world tick. That’s knowledge. And once they have that knowledge, they learn there is always more to learn.’ A common thread running through the book is of looking forward to ‘the next job’, of not looking back or resting on their laurels. Much of their work still seems, if not futuristic, then relatively untouched by time. Kettles, lights, buildings, logos, posters, theories and more – if you want to know what twenty lifetimes of excellent work in the visual / spatial field looks like, and what those lifetimes have taught the practitioners, this book is for you. 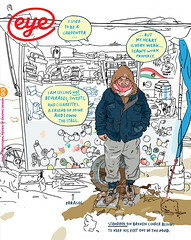 Cover from Twenty Over Eighty. 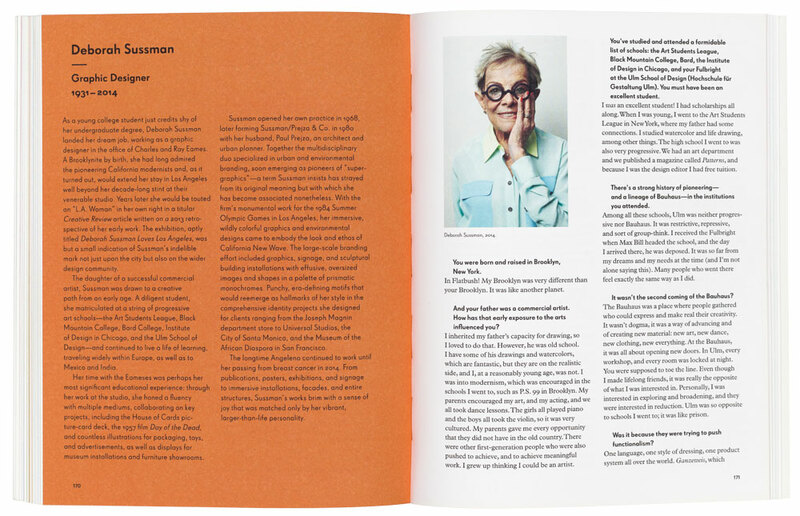 Top: Spread showing a conversation with Californian designer Deborah Sussman.